One of the ways in which we can prevent extinction and preserve all things is through seeing the beauty in them. To me, one of those ways is through music. This is why I have chosen my theme to be “We Sing the Beauty of Our Auxiliary” for this year. By seeing the beauty of our Auxiliary, we see the beauty of our service to our Veterans, our Military, and our Communities; when we look back upon a service and the joy it brings to others, we are rewarded with great satisfaction. A great way to put a smile on the faces of many of our workers and Veterans is through song. This year, it is my goal to encourage the use of music in more meetings and have it stand out! As 4th Division Junior Activities Chairman, I intend, with the permission of the Department Chairman, to encourage the Juniors to participate in the Music Parody contests. As my predecessor has done, I will award the Mary Fleurette’s Plaque for the best Overall Participation in the Music Program to a District President; I would love to hear some great parodies of patriotic songs this year! Indeed, my dream is to have so many to judge that I will need to form a committee! I know that our 4th Division and 17th District open each meeting with the National Anthem and end with another patriotic song – there are so many! How many can you name? I also would like to reach out to each Division and District President to likewise urge all Units to include music as part of their meetings if they do not already do so. There are so many lovely patriotic songs – let’s put smiles on our faces as we sing them and glorify our great country and our great cause! And for all of you who say “but I can’t sing” – that’s not true. If you are singing from your heart with love for your country, you can sing! Think for a minute of how music makes you smile, especially an upbeat song about the country you love. Doesn’t it fill you with enthusiasm to get out there and do your job with a big grin on your face? I know music does it for me! The more enthusiasm YOU show, the more people will pay attention to you! You may have more people ask you about joining in! If others see this as a group in which you can not only give of yourself but have a wonderful time doing so, they’re liable to think, “hey! I’m all for it!” How do you think I got here? 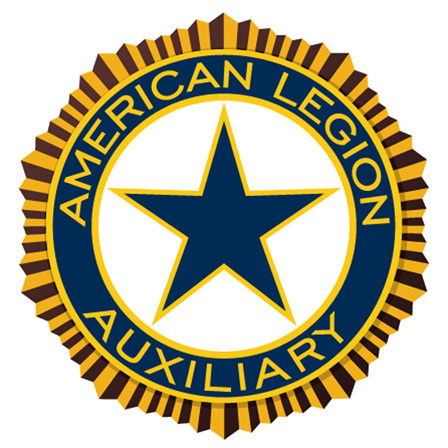 Because somebody told me that the American Legion Auxiliary was filled with lovely, friendly, cheerful ladies who were of one mind: Service, not Self! So let’s start this year off with a drum roll and reach for that highest note and sing the beauty of our Auxiliary!